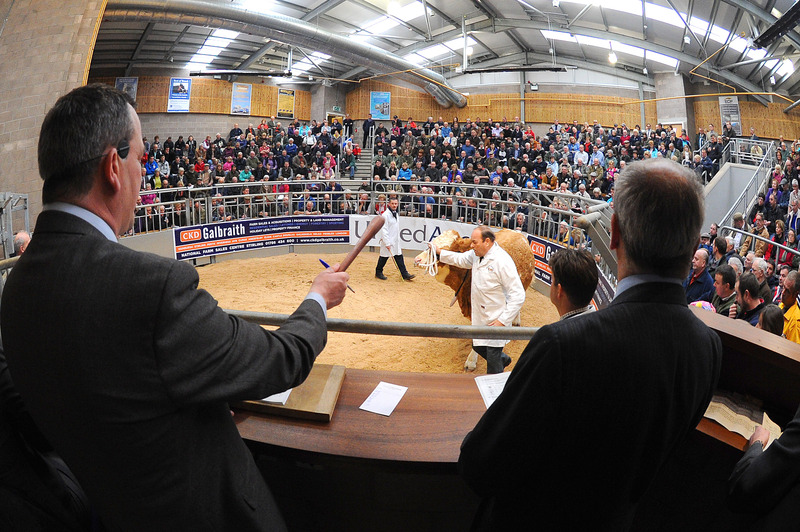 United Auctions’ May bull sales next month is set to stage a record number of entries and a new format extended over two days. And, in a first for the Bull Sales, Scotland’s leading livestock auctioneers will host the official show and sale of Highland cattle as part of the national event. To accommodate the largest-line up in the history of the event, the format has been expanded and will take place at Stirling Agricultural Centre from Sunday, May 1st to Monday, May 2nd 2016. The Multi-Breed event is sponsored by Agricar. 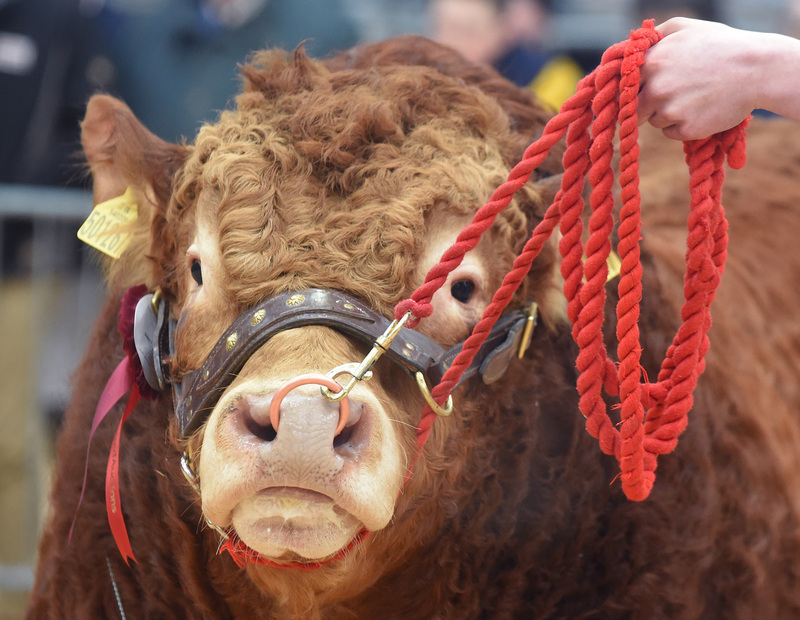 Pre-sale judging of Charolais, Simmental and Highlanders will take place on Sunday afternoon while the shows of Aberdeen-Angus, Beef Shorthorn and Limousin livestock will be held on Monday morning, followed by all sales. John Roberts, Sales director and auctioneer at UA said: “We’re delighted to welcome the Highland breed to the Centre for their first pedigree sale. The addition to the May Bull Sale of this much-admired breed speaks volumes about the event’s growth in popularity from its very modest beginnings. 20 pedigree Highland bulls and females will go under the hammer of Dalmally-born auctioneer Raymond Kennedy at 10.45 on Monday morning. Aberdeen-Angus (34) and Beef Shorthorn (17 & 8 females). Scarred FOR Life is to be exhibited at a major health event in Glasgow on March 4th. 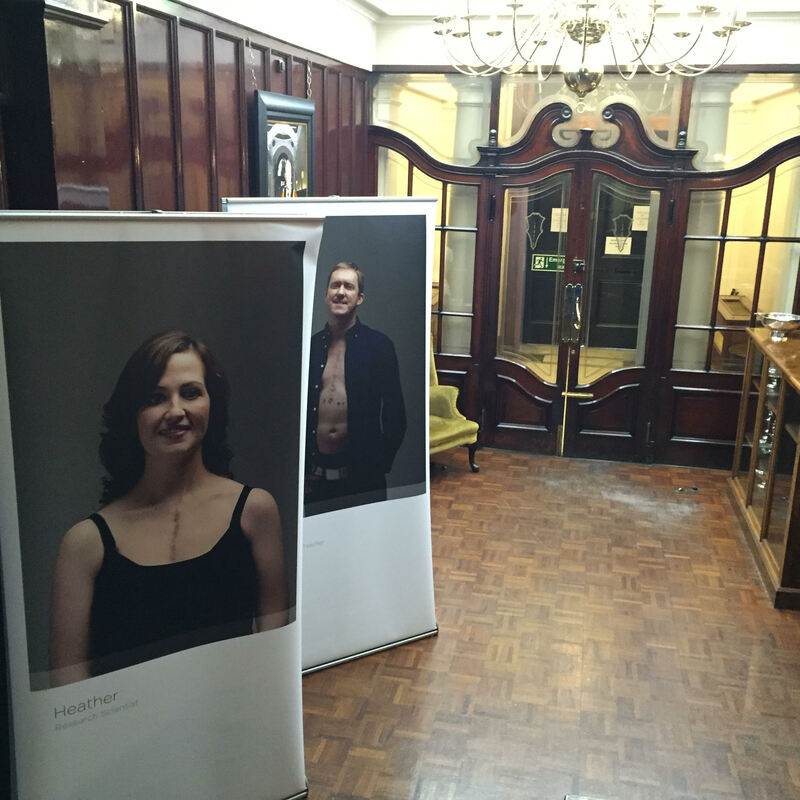 The special photo exhibition, which shows adults with congenital heart disease (CHD) baring their scars in celebration of life, will be on display at the Royal College of Physicians and Surgeons Glasgow for its Interactive Cardiology Symposium. The project, which was created by three friends with CHD, Jenny Kumar, Liza Morton and Caroline Wilson, is now in its second phase, which aims to raise awareness of the condition with the 150+ heart professionals attending the annual event. United Auctions has reformatted the February Bull Sales to ensure customers get best value from their time at the two-week event. The Stirling Bull Sales at Stirling Agricultural Centre will feature 1055 pedigree bulls and females on show and sale from Sunday, January 31st to Tuesday, February 2nd and from Sunday, February 14th to Tuesday, February 16th. The more compact programme includes Sunday judging in both weeks. 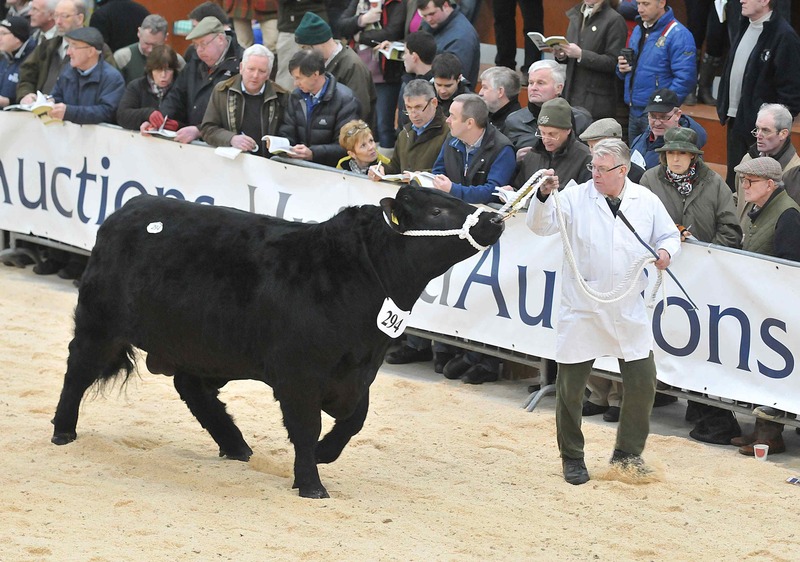 On Sunday, January 31st the Aberdeen Angus females and bulls show takes place at 12.30pm with the sale the following day. On Sunday, February 14th, the show of Simmental females and bulls takes place at noon with the show of Salers bulls at 4pm. Both sales will be held the following day. The new February programme follows a similar redesign successfully introduced in October by Scotland’s leading livestock auctioneers. In the second week, customers will be interested to note the sale of the complete adult portion of the Fife-based Broombrae herd of high performing Simmental cattle on Monday, February 15th. Bank of Scotland is sponsoring the February Bull Sales again and will have a strong presence at the event. Guest of honour at the Sales will be Stirling Council’s Provost Mike Robbins and customers may spot BBC presenter and farmer Adam Henson filming for Countryfile on Monday, February 1st. Full catalogue details for the Sales will be available on the Stirling Bull Sales’ page of UA’s website along with access to the sale ring’s live webcam. Opportunities for photographs are available from Saturday. One of Scotland’s oldest decorating companies has marked a significant expansion of its operations across Scotland – including the creation of 20 new jobs – with an official opening of its new headquarters in Govan, South Glasgow today (Thursday, November 7th). Dumbreck Decorators, which has roots going back to 1849 and offices in Glasgow and Edinburgh, has extended its reach into the north of Scotland by winning two new major Framework agreements for cyclical maintenance in the last 12 months. On the back of the new business, the decorating contractor has increased its turnover by 27 per cent to £4.1million, opened a new office in Forfar and created 20 new full-time jobs for tradesmen as well as a new surveyor position and a storeman for its larger premises in Govan. This represents a 20 per cent increase in staff, which now totals 100. And it has recruited seven apprentices this year alone, bringing the total currently being trained by the firm to 14 – male and female apprentices – who are all at various stages of their Modern Apprenticeship in Painting and Decorating. In addition, the company has invested in a new fleet of 14 vehicles. Glasgow’s Lord Provost, Sadie Docherty conducted the official opening of Dumbreck Decorators’ new office and warehouse at Govan industrial estate at noon. Mark Johnston, managing director of Dumbreck Decorators, said: “We’re ambitious and focusing on delivering what we’re best at. With so many new staff coming on board, we were tight for space in our previous premises in Glasgow, particularly as we need to store the 200,000 litres of paint we get through each year. Dumbreck’s recently won the Working Together Award in The Herald’s first Inspiring City Awards for its contribution to improving the social fabric of Glasgow by recruiting, training and giving experience to the city’s young people. Dumbreck Decorators is affiliated with CHAS (Contractors Health & Safety Assessment Scheme) and MD Mark Johnston sits on the national board of Scottish Decorators’ Federation. Dumbreck Decorators is an award-winning decorating contractor with roots going back to 1849 and offices in Glasgow, Edinburgh and Forfar. Operating under our direct, domestic and main contracting business streams, which also includes our spray applied plaster, Ames Taping and shop fitting divisions, we provide a full service to a diverse range of clients, including National Trust for Scotland, Heritage Scotland, Scottish Historic Buildings Trust, social housing, churches, banks, offices, hotels, local authorities, industrial and private homes. A team of five auctioneers from United Auctions (UA) is swapping their white coats, gavels and crooks for James Bond style morph suits to compete in a one-day charity event in the Highlands next week. Scotland’s leading livestock auctioneers will be shaken, not stirred in their skin-tight tuxedo costumes, which leave little to the imagination, when they take part in RSABI’s Great Glen Rural Challenge on August 30th. Named the Rostrum Rascals, UA’s team is walking, running and cycling a 60km route along the Great Glen between Clunes and Dores. They are competing with nine other organisations and businesses in the rural sector to win the challenge and to raise the most money for Scotland’s rural charity RSABI, which supports people who have depended on the land. UA’s secret service Rascals, which comprises auctioneers and sales executives Richard Close (31), Ross Fotheringham (23), Luke Holmes (24), Murray Rainnie (26) and Peter Wood (34), have already raised half their fundraising target of £1000 but know there is still a long way to go. Teams of 4 (+ 1 supporting member) will complete a total of 60km along the Great Glen through beautiful Highland scenery. United Auctions’ (UA’s) May Multi-breed Show and Sale returns this year with a strong line-up of 212 pedigree bulls and females. 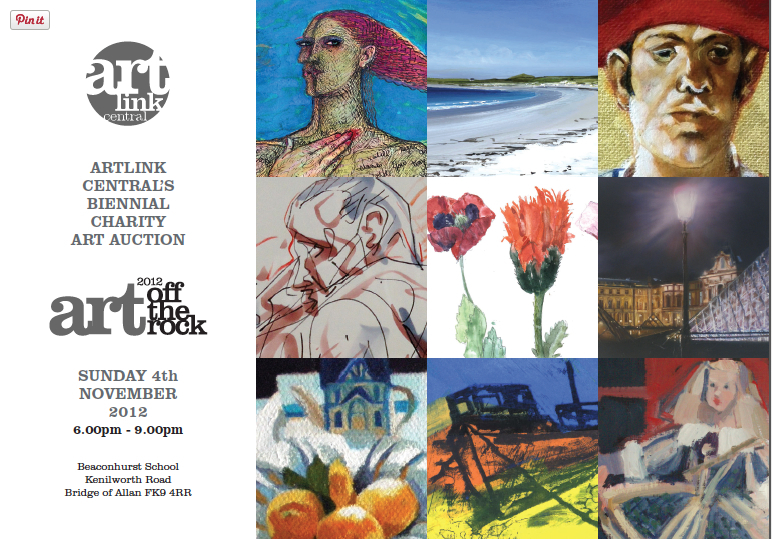 The annual event takes place on Monday 6th May 2013 at the Stirling Agricultural Centre, the HQ of Scotland’s leading livestock auctioneers. And its compact format, in which pedigree cattle are shown and sold in one day, has real appeal to customers at this busy time of year. It is run in conjunction with a commercial beef breeding sale, which includes 500 store cattle and a show and sale of Simmental cross females. The pedigree show will be judged by three young judges from the next generation of pedigree cattle breeders. While Stuart Barclay from Aberdeen, John Barlow from Leyland and Michael Norman from Carlisle have experience at summer shows, this will be their first appearance at an official Bull Sale. For the second year running, the event has been selected to stage a sale of Longhorns, one of the UK’s most ancient breeds. It also welcomes a new sponsor – Hendricks Insurance, who relocated its headquarters to the Centre in January this year. The company, which specialises in farming and estate policies, will have a presence on the day with director Ritchie Sherret presenting a prize at the show. 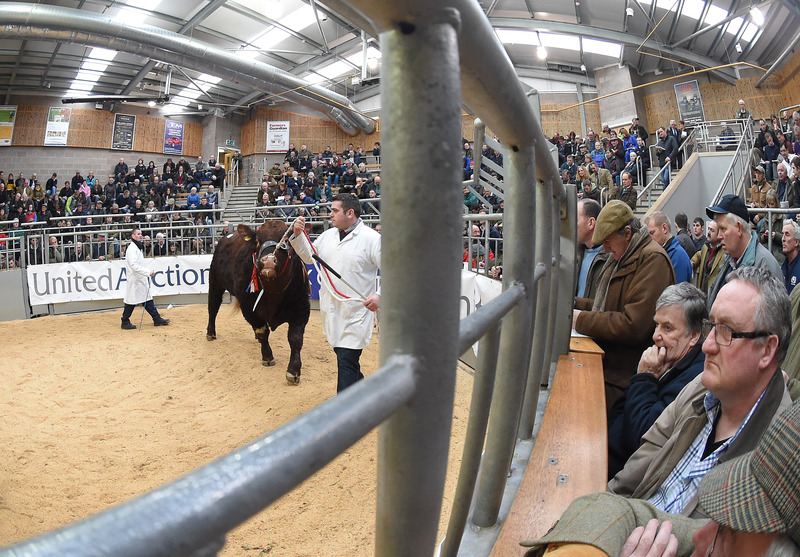 David Leggat, Executive Chairman of UA, said: “It’s a real pleasure to see the younger generation of judges making their mark at an official bull sale and we’re delighted to host the Longhorns’ sale for the second, consecutive year. The Charolais, Simmental, Limousin, Aberdeen Angus, Beef Shorthorn and Longhorn breeds are all sold under the auspices of their respective breed societies. Full catalogue details for the Sales are available on the pedigree page of UA’s website along with access to the sale ring’s live webcam. And UA’s Facebook page will share as-it-happens news and updates. Opportunities for photographs are available from Sunday 5th May. Husband and wife team Mohsin and Martine Al-Tajir run the Japanese breed, which produces the most expensive beef in the world, under their company Highland Wagyu based at Blackford Farms in Dunblane. More than 80 guests piled into Carluccio’s on West Nile St in Glasgow for CKD Galbraith’s wine tasting and light supper event last night (Wednesday, November 14th). Hosted by the building surveying and commercial team, the social event was held in the very building where the firm is so involved across all five floors – from dilapidations and project management to fit out – and allowed guests to hear about the work the team is doing elsewhere in Glasgow and the West. With the help of sommelier Mike Stocks, clients, associates and colleagues from the commercial property world got the chance to enjoy a range of fine Italian wines and canapés with a twist in the twinkly surroundings of the Italian restaurant, food shop and deli, which opened this time last year. There was good-humoured controversy when it was announced that the mystery wine tasting competition had two winners – Ryden’s Ken McInnes and CKD Galbraith’s own Pam Over – who each took home a magnum of fine Italian Prosecco.